Drivers in Singapore spend nine hours commuting on the roads each week instead of engaging in leisure activities, according to a new study by the Urban Land Institute (ULI) Singapore and the Centre for Liveable Cities (CLC). In fact, the average motorist wastes a total of 2,549 hours, or 106 days of their lives, looking for a parking spot. The study also revealed that road traffic accidents account for 2.2 percent of all deaths globally, making it the ninth leading cause of death. Requiring road space and two to six parking spaces, a car occupies more land than most urban homes, while walking, cycling and public transit require far less space. On average, cars spend 80 percent of the time parked in the owner’s home, four percent in motion and 16 percent parked elsewhere, most notably in urban areas. Meanwhile, public transit provides seniors with independence, with more than four in five seniors believing that public transportation is a better alternative to driving alone, especially at night. If ride sharing were to replace conventional traffic on the roads, the number of vehicles each day would fall by 90 percent, or 65 percent during peak hours, noted the report. Traffic casualty rates also tend to drop as public transit travel increases in an area. Discover how to kickstart your wealth creation journey! Join us to learn more! 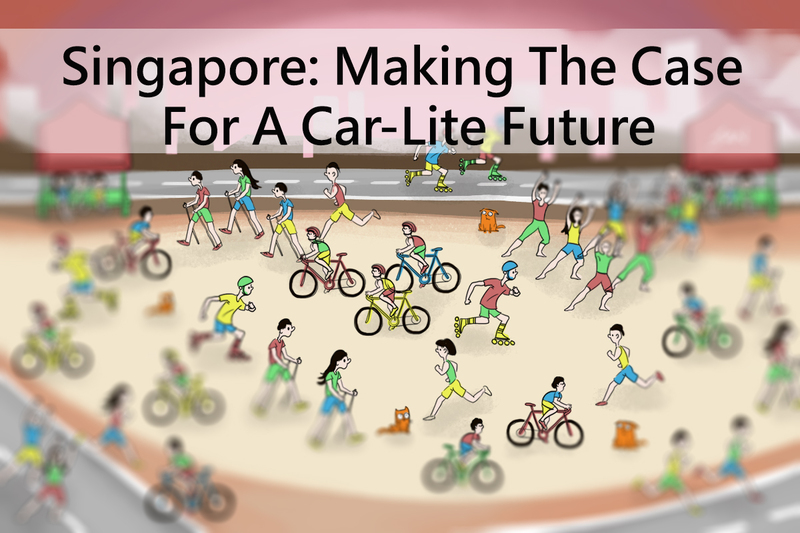 Entitled “Creating Liveable Cities through Car-lite Urban Mobility”, the study aims to provide practical recommendations on moving cities towards a more sustainable mobility future that complements the Singapore government’s ongoing efforts. Last Saturday (9 July), Prime Minister Lee Hsien Loong launched a 4km cycling path in Ang Mo Kio as part of the town’s makeover. The Land Transport Authority (LTA), National Parks Board (NParks) and Urban Redevelopment Authority (URA) also announced that works for the Round Island Route (RIR), which is a continuous 150km park connector that goes around the island, are set to start by the end of the year. “Singapore is already one of the forerunning cities in the world when it comes to promoting sustainable mobility,” said CLC Executive Director Khoo Teng Chye. “Looking ahead, going car-lite is something that should happen to make the city-state more liveable. The more important thing is to really approach mobility from people’s perspective, not cars,” he added.